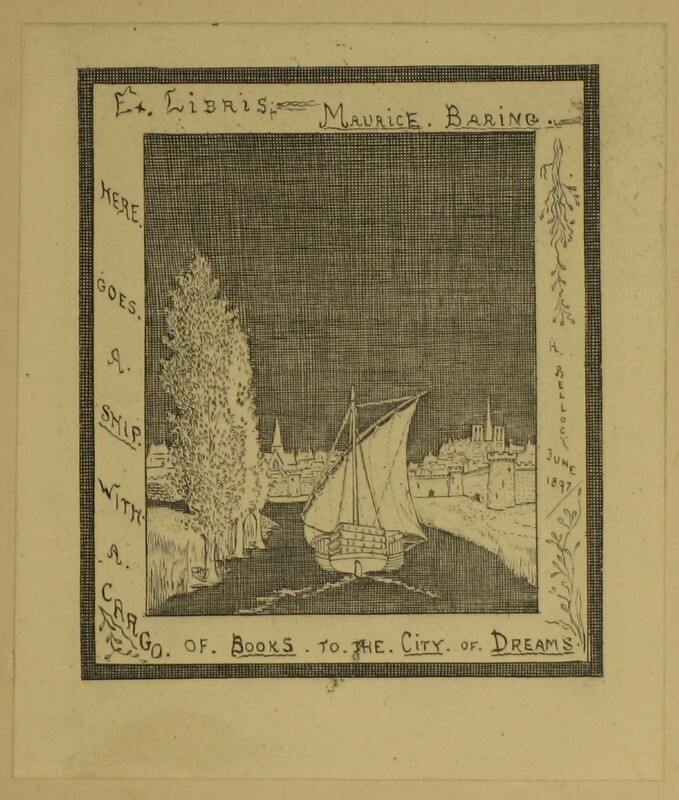 “Maurice Baring Bookplate.” Digital Gallery. BGSU University Libraries, 4 Aug. 2015, digitalgallery.bgsu.edu/collections/item/14406. Accessed 24 Apr. 2019. 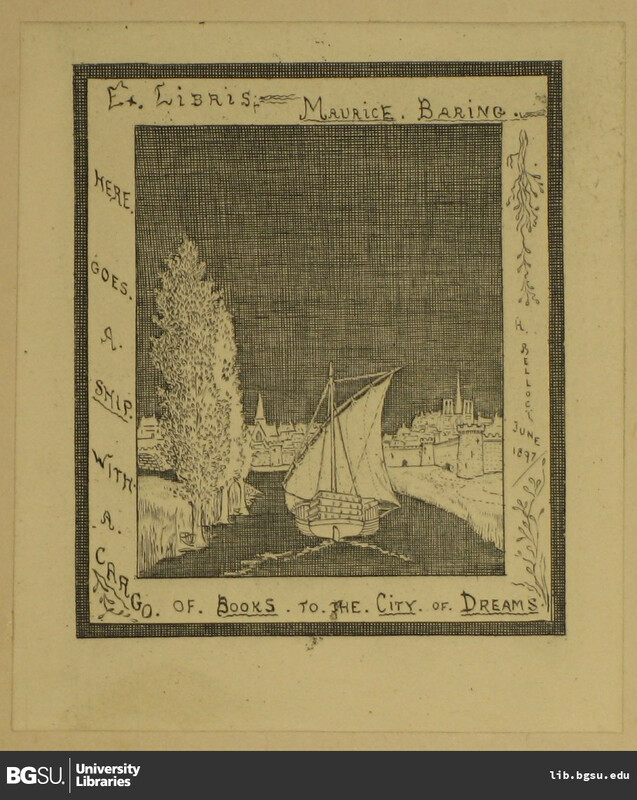 Example of a Maurice Baring bookplate. Black and white image with motto around the edge. Motto reads: here goes a ship with a cargo of books to the city of dreams. Dated June 1897. Image is of a ship sailing down a river with tress on one bank and a town on the other. Bookplate can be found in Wreckage by Hubert Crackanthorpe. Wreckage: seven studies by Hubert Crackanthorpe.